In 1973, East German psychiatrist Dietfried Müller-Hegemann observed that his patients who lived close to the Berlin Wall showed higher rates of psychosis, schizophrenia, and phobias. 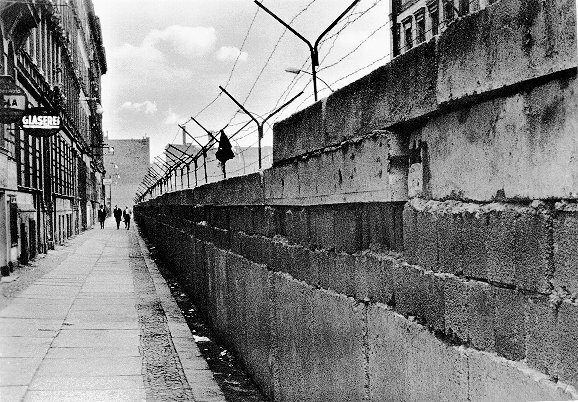 Those East Germans who lived in the shadow of the Wall suffered rage, dejection, and alcoholism — and were more likely to kill themselves. And the closer to the physical wall his patients lived, the more acute their disorders. The doctor called the syndrome Mauerkrankheit — Wall Disease — and though he could not thoroughly research the syndrome for fear of prosecution by the East German authorities, Müller-Hegemann predicted that depression, despondency, and high suicide rates would persist in Berlin for as long as the Wall stood. The only cure for Wall Disease was to bring the Wall down. The ‘Berlin strain’ of the Wall disease may have been cured 25 years ago, but as I describe in Walls: Travels Along the Barricades, wall-disease remains a global pandemic. I witnessed the sufferers of the disease in Palestine, Cyprus, Belfast and along the US-Mexico border. Our contemporary walls and barriers continue to inflict psychic pain on those that live in their shadows. They still await their own emotional liberation and cathartic breaking through. As we celebrate the anniversary of Berlin’s cure, let us also remember those who remain afflicted.